The first thing that comes in mind when we think about winters is the foggy mornings and chilly nights. The season is right here but the wintry chill has been missing and so does the fog. We are now entering December and with this, we hope to see fog and wintry chill gripping the plains of Northwest India soon. But how soon is still a question. 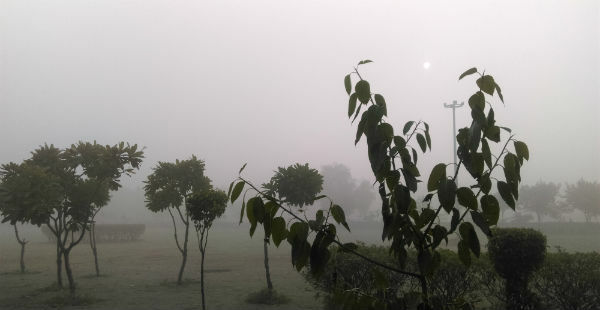 Although shallow fog and atmospheric obscurity has been witnessed in parts of Punjab, Haryana and Uttar Pradesh on few occasions, but typical fog is yet to be seen. This year has been different than last. In 2017, thick to dense fog had started making appearance right from the first week of November across Punjab, Haryana, Delhi-NCR, Uttar Pradesh and North Rajasthan. According to Skymet Weather, for widespread fog we need to wait for an active Western Disturbance that has been missing this season so far. The passage of any active Western Disturbance would be instrumental in dropping the minimum temperatures and increasing moisture in the atmosphere, the two main drivers for setting in of the fog. 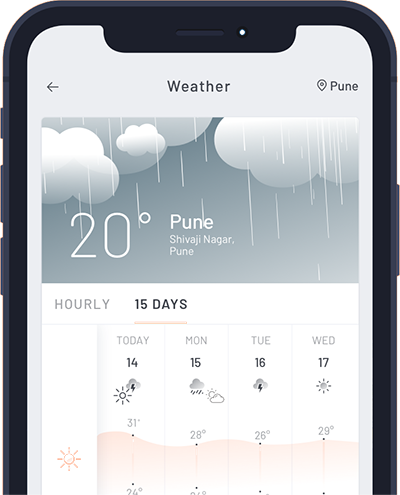 We are afraid that we might have to wait for some more time for fog as weathermen do not foresee any active Western Disturbance for the next one week, in fact for the next 10 days. Fog is a seasonal feature that commences around November and goes on till February. Talking about its definition, fog is condensation of water vapor available in atmosphere with conducive temperatures. There are two types of fog- advected and radiation fog. While the plains see the latter one, the former one is less common and is seen over coastal areas. Widespread thick to dense fog is usually seen in the months of December and January and it may extend to few days of February as well. As mentioned above, Western Disturbance is the prime driver of fog. It is succeeded after the passage of these disturbances. As per weathermen, fog is a patchy phenomenon, depth is not much, and duration also varies depending upon time and pace. Fog is more frequent in midnight and morning hours. It is very rare that it lasts for prolonged hours during daytime. Dispersion of fog is done though strong winds, rise in temperatures, sunny days and rains. If these factors are missing, fog might extend its stay over that particular place. Forecasting of fog still remains a grey area. Weather models cannot predict fog directly and can only be done through objective and subjective methods. Places all along the Indo-Gangetic plains and parts of Northeast India are the most favourable pockets for fog. However, there are few places that do not witness fog like Jaisalmer in West Rajasthan and foothills of Himalayas like Pathankot and Chandigarh on account of down the hill winds.